Stay tuned for exciting news about our pending upgrade to the Tripawds Café Press Store. But here’s a sneak peak of things to come. Show your Tripawd Pride with this fun t-shirt and support the Tripawds community. 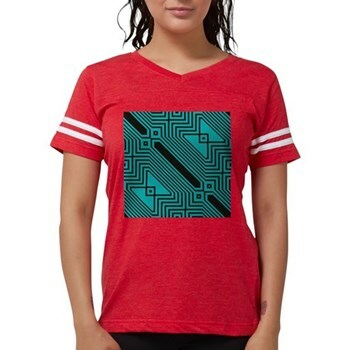 If you looking for eco-conscious apparel but unwilling to sacrifice comfort, look no further than this 100% organic cotton t-shirt from Econscious. Soft against your skin yet durable enough for everyday wear, this earth-friendly tee looks great and helps save the planet. There is currently only one of each item in the Tripawds Café Press Store. With our upcoming upgrade we will launch multiple designs for each product. We will be including this and other rear-leg tripawd designs soon! So stay tuned. Ya know… this illustration was inspired by the three legged German Shepherds from Oaktown, Wyatt Ray Dawg and Travis Ray. Neither ever spent time in the cone of shame, so we’ve updated our first rear leg Tripawds T with a more fitting design. Stay tuned for more to come! Don’t forget me, Alpha Doggie of the Oaktown Pack! Love the shirt, want one!